A Pilates Retreat with a Difference! At Create Retreats, it’s not only about the Pilates, it is so much more. People come to us for a variety of reasons. We offer an alternative holiday, an opportunity to invest in yourself and enjoy relaxation, culture, culinary experiences, therapies and well being. 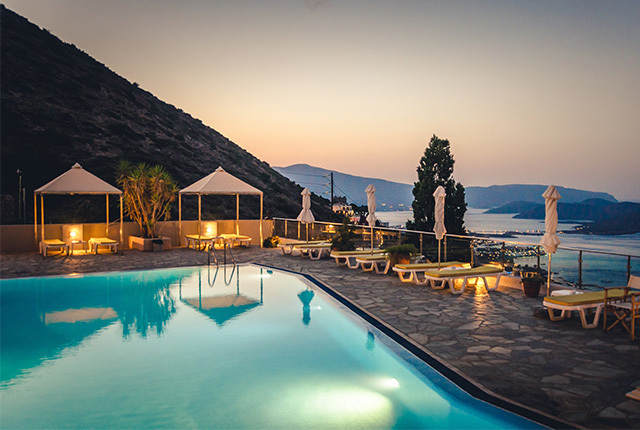 Whatever your reasons, we welcome you into our second home in the tranquil setting of Elounda Bay, Crete, where we will do our best to ensure you have the trip of a lifetime. Pilates has so many health benefits for your body and your mind. On our retreat experience, Gill offers mat-based Pilates classes and mindfulness relaxation in an absolutely beautiful setting. Gill incorporates a range of techniques with clinical modifications to allow safe and challenging progression for everyone. Whether you’re completely new to Pilates or you’re an expert, Gill offers a multi-level session accommodating everyone’s individual needs. You will have the opportunity to explore posture, use small props, discover techniques to develop flexibility, gain a deeper understanding of your anatomy, learn to work with your body and not against it, connect back with your breath and enjoy some fun with movement. Your daily sessions in this wonderful environment will enhance your practice in new ways and leave you with a true sense of wellbeing. Gill and Andreas will guide you straight to the best parts of North East Crete. You will mix with their friends and family which will give you a true sense of belonging. 1.5 hour morning Pilates practice in our own private studio, combining stretching, strengthening, releasing your body and quieting your mind through deep relaxation and mindfulness. A complimentary treatment of your choice from one of our experienced on-site Therapists. Transfers to and from the airport – 50 minute car ride. 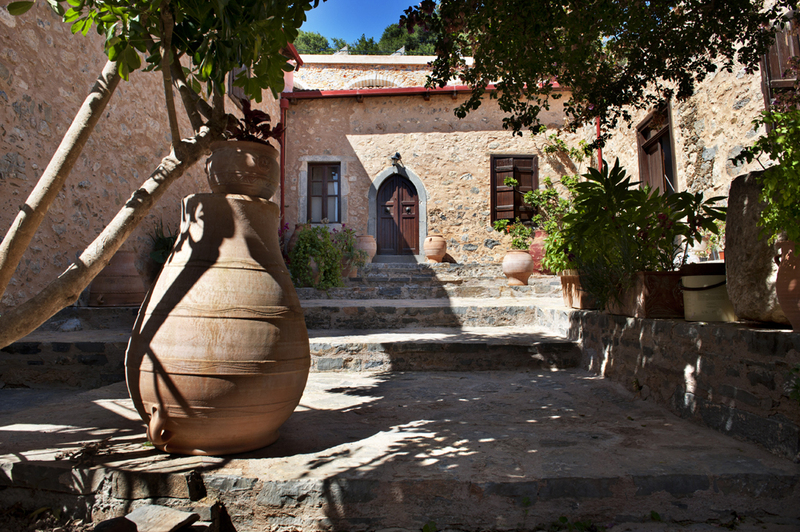 Welcome meeting and booklet to help you feel at home, including a talk on the history of Crete. A trip to the local market in Agios Nikolaos on your first day- a chance to buy fresh fruit and local produce. You will be driven to and given a guided tour of BioAroma to discover the health and beauty benefits of the 100% natural herbal products. This process goes back to the Minoan civilization over 4,500 years ago where creams and ointments were used as remedies and offered to royalty and neighbouring lands. A rich and nutritious Cretan breakfast/brunch daily. 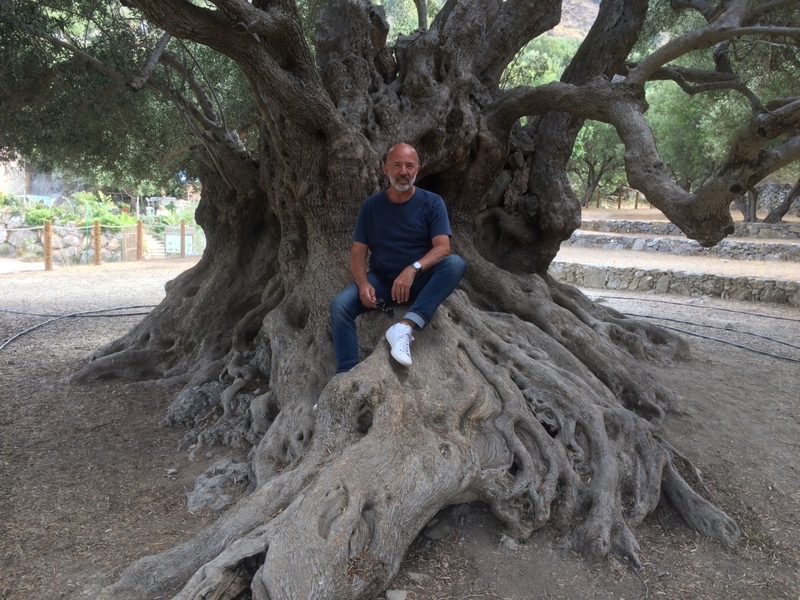 A drive to a traditional village 20 minutes away called Kritsa. Along the way we will stop at Panagia Kera, a 13th century Byzantine church famous for its wall paintings. Then on to the village to wander the narrow streets, stepping back in time, seeing the traditional lace making, a chance to buy local products, visit museums and enjoy a long lunch (small charge) watching the world go by. For those who are interested in archaeological sites Andreas can drive you to the ancient city of Lato very nearby. Swimming pool with sun loungers and a stunning view. A hand picked library delivered to your door by our dear friend Nell for you to enjoy. 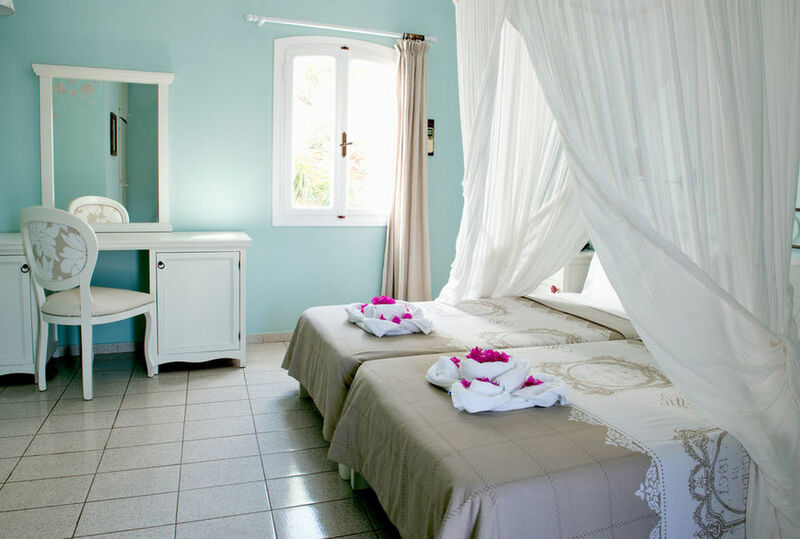 Homemade culinary delights, Raki, seasonal fruit and water in your room. Recipes from Greek mama – easy to follow. Learn the basics of the Greek language. Kitchen facilities with oven and other white goods. *Please note that flights are not included. You can choose from twin or double bed studios (open plan) that sleeps 2, or apartments which sleep up to 4. If occupied by only 2 people there is a £50.00 per person per week extra charge. Single supplement available at £200.00 extra. Rooms have air conditioning, free wifi, fridge and a coffee machine. As well as all of the activities mentioned above, there are a range of optional activities which are available for an additional cost (pre-booking is essential). A day trip with Andreas to well chosen sites of interest off the beaten track. 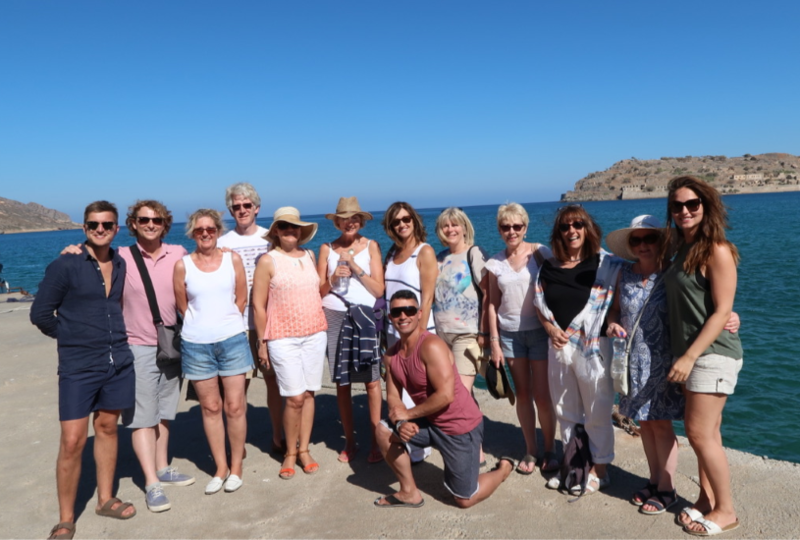 Go back in time walking the paths of the most preserved Minoan City, sit on the roots of the oldest olive tree in Europe (3,250 years old), swim in the crystal clear waters of the Cretan sea and enjoy a culinary experience in a traditional village taverna overlooking the Mirabello gulf. Driving to Limnes Valley (14 miles) with Andreas and passing through small villages and olive groves, we shall arrive in the old monastery. It sits up on the hills in an idyllic location hidden in between the pine woods. Very peaceful and quiet. The nuns make us very welcome and it is an unforgettable experience. From there we will drive through the town of Neapolis, stop off for refreshments then head off through the mountains, passing small picturesque villages and arrive at the coast for a delicious eating experience with stunning views. 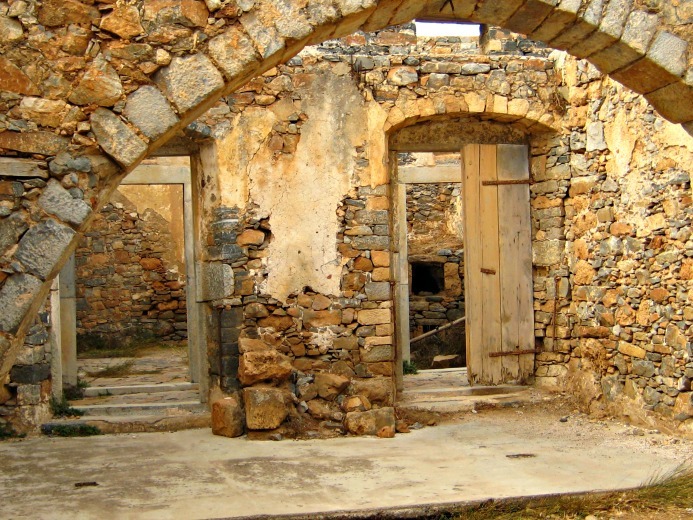 Spinalonga was built by the Venetians in 1579 to protect the harbour of Elounda. In 1903 it turned into a Leper colony up until 1953. You can take a boat trip to the island which is now an open museum. Maybe you have read the book The Island by Victoria Hislop and are familiar with the story? If not we highly recommend you read it and take this trip. Prior to that Andreas will enlighten you as to its history.